My name is Christoria Hughes, and I am a proud mother and grandmother. 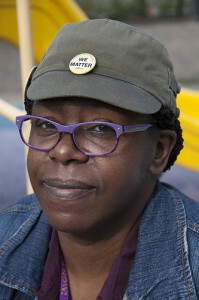 I am also a longtime UPMC employee writing to ask you to join me and my coworkers in calling for better jobs for a strong and a healthy Pittsburgh. My dream has always been for my grandkids to be able to go to college and get ahead in life. I was so proud when my oldest granddaughter was accepted into college here in Pittsburgh. I was willing to do anything so she could succeed. So when she started to struggle financially and was thinking about dropping out, I packed up my younger grandkids and moved from North Carolina to Pittsburgh to help. We hadn’t even seen the place! Pittsburgh is supposed to be one of the most livable cities in the country. Livable to me means not having to worry every day about how to avoid economic disaster. Livable to me means being in a situation where the hard work that you do goes to building something that you want and care about. For me, I want to build a better life for my family. That is what my hard work is for. When I got here I applied right away at UPMC. They were the largest employer, and it’s easy to see that they are kind of the economic king around here. So I thought that is the company to get in with. I was hopeful that I would have job security and be able to keep a nice home for our family. But after six years at UPMC, and working full-time, I’m still only bringing home about $350/week. I’m sure I don’t have to tell you that’s not enough for me to raise these kids. We have to pull together and sacrifice on everything, from sharing clothes, to using subsidizing housing and food banks. We also rely on real charities like Big Brother and Big Sister for help. The same is true for many of my coworkers. All the UPMC workers try to get as much overtime as possible, and the extra hours do mean more income. But the extra hours also produce a lot of strain, and it’s not healthy for families. Kids looking after themselves too young, no one taking an interest and helping out with homework, that’s when kids get into trouble. We need to get to a place where people who work full time doing a job that needs doing can pay the bills and take care of their family responsibilities. I’ve devoted my life to my grandkids. I’ve worked hard at it. And I don’t mind it. But I’m not doing well enough. And my grandkids aren’t doing well enough. And that’s just not because we’re not trying hard enough. I want our kids and grandkids to do better. I want the people I work with to do better. I want Pittsburgh to do better. 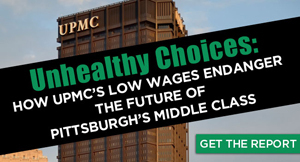 To make that happen, UPMC is going to have to do better by all of us. Will you join me and my co-workers and sign onto the petition to call on UPMC to create good jobs for a strong and healthy Pittsburgh? 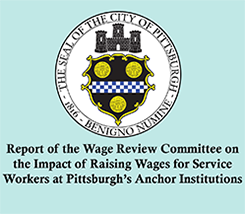 UPMC needs to pay their workers a living wage! Let your dedicated workers earn a living wage. It’s not and should not be too much to ask. Actually, they shouldn’t have to ask or demand it. It’s the right thing to do.